The University of Macau (UM) held an Open Day yesterday (9 April), which attracted more than 10,000 people. Many secondary school students and their parents visited the various faculties and residential colleges to learn more about the learning environment and admission-related information. 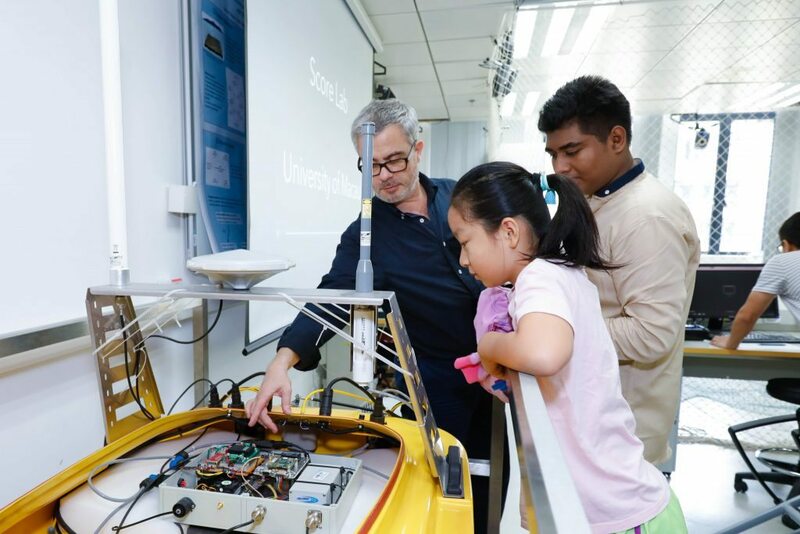 Some people came with their families to watch student performances, learn how to design innovative robots, and conduct science experiments with UM faculty and students. Some parents praised the good learning atmosphere at UM and expressed hope that their children would be able to study at UM some day. ‘I can tell that UM students put a lot thought into designing the games and teaching basic Portuguese vocabulary,’ said one parent who attended a Portuguese language workshop with her children. ‘We learned some simple Portuguese words through fun games. I like the learning atmosphere at UM. It allows students to put what they learn into practice. I hope my children will be able to study at UM when they grow up.’ Many graduating students who have applied to UM’s Faculty of Law attended the moot court session. ‘Usually we can only see court trials on TV and seldom have the chance to see them in real life. So we benefited greatly from today’s moot court session,’ said the students. Many students from local secondary and primary schools enjoyed the science experiments and expressed hope to become scientists when they grow up. 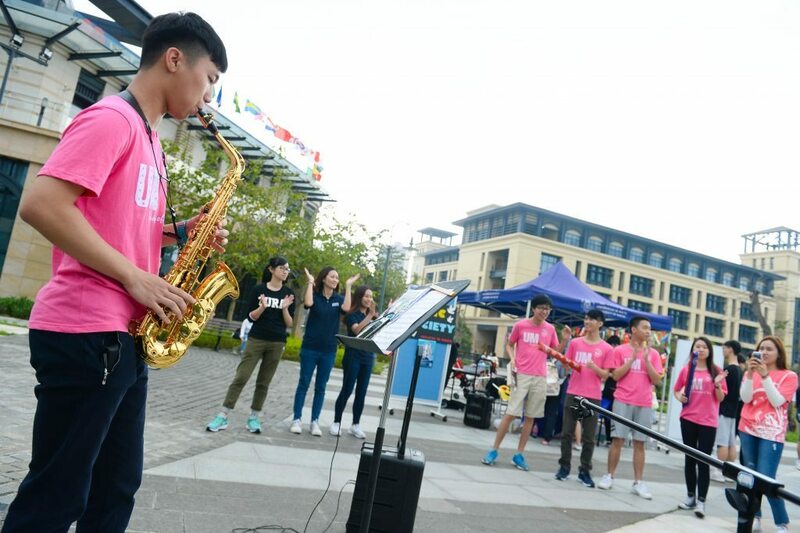 Some parents who attended the charity sales of the residential colleges praised UM students for the well-designed activities and said the campus was bustling with a vibrant energy and full of pleasant surprises. Officiating guests at the Open Day Ceremony included Lam Kam Seng, chair of the UM University Council; Wei Zhao, rector of UM; Ao Peng Kong, president of the General Assembly of the UM Alumni Association; and He Zhaodong, director general of the UM Students’ Union. 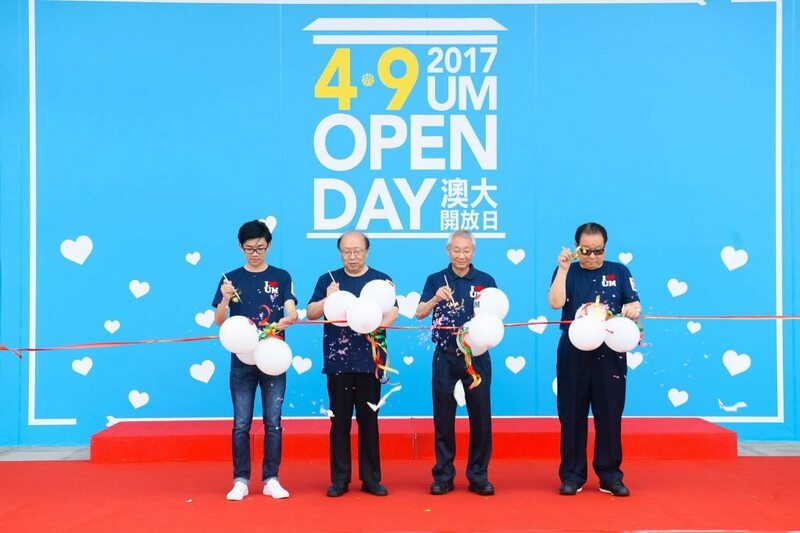 In his speech at the ceremony, Rector Wei Zhao said that UM was able to move to the beautiful new campus because of the support of the central government and the Macao SAR government as well as the joint effort of all UM members. In recent years, UM has strengthened its faculty team by internationally recruiting world-renowned scholars. With a well-equipped new campus and a high-calibre faculty team, UM devised an innovative ‘4-in-1’ education model that consists of discipline-specific education, general education, research and internship education, and community and peer education. Through this comprehensive education model, UM hopes to continuously produce outstanding graduates who can become leaders in various industries in Macao to contribute to the long-term development of China. He added that the support of students, faculty members, parents, and residents are indispensable to creating an excellent university. He expressed his hope that the various parties will work together to make UM into a better institution so that in the not so distant future the chief executive of the Macao SAR will be a graduate of UM. UM alumni and famous long singers Rico Long and Ken Sou performed at the Open Day. UM students and staff from around the world paraded around the campus. 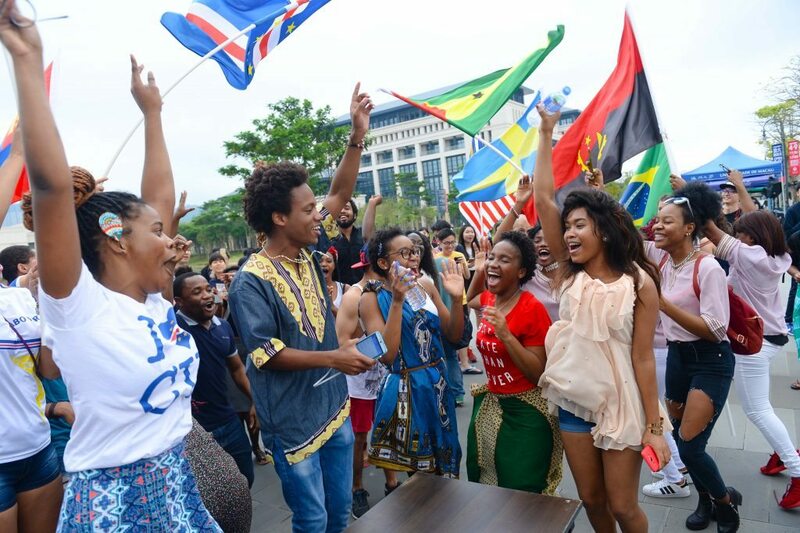 The various cultural and art groups formed by UM students held flashmobs in different locations of the campus. The International Food Festival held on the Central Avenue also attracted throngs of visitors. The various faculties and residential colleges organised many fun activities to introduce visitors to their academic programmes and student life in the colleges. The activities included workshops on languages, Japanese Furoshiki, philosophy, simultaneous interpreting, paper plane making, and card production, lectures on drug development, moot court, magic shows, and a competition in Chinese medicine identification. To let the public experience the academic ambience and student life on campus, UM designed nine routes for campus tours guided by PR Student Ambassadors.